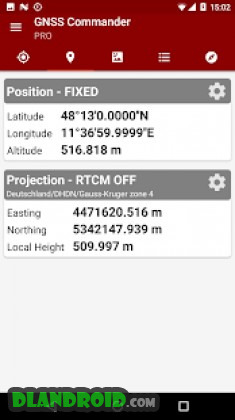 GNSS Commander – GPS status is a Tools android app made by PilaBlu that you can install on your android devices an enjoy ! Connect your external GPS device by USB or bluetooth. Route the GPS position as mock location provider to any navigation app on your phone or tablet. Show GPS status data like position, height, accuracy, satellites, velocity, etc. You can forward RTK correction data to your high accuracy external device. RTCM data is loaded from the internet by the internal NTRIP client. 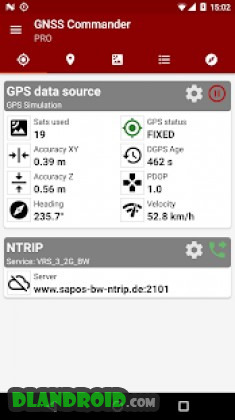 The app ist completely free with the exception of the NTRIP-RTCM feature. If you want to forward RTK data from your data provider (e.g. 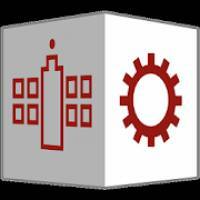 land surveying office) to the external GPS antenna, please license the app. You can fully test the NTRIP feature in advance within the 30 days trial period. You can view received RTCM message-types and coordinate-projection-parameters of the RTK data on the RTCM monitor page. High baudrates up to 115200 are supported for all listed USB vendors. The GNSS Commander can transform WGS84 coordinates into a local coordinate system like “Gauß-Krueger or UTM” for germany. Additionally you can set a fixed offset to the transformation for further improvement of the calculated local coordinate. If you allow mock locations in the developer options of your android device you can use the position of the external receiver in any application. The preferred way to process the external GPS position in other apps without using “mock locations” is implementing a simple ContentObserver. You can even get the transformed local coordinate and additional informations about the GPS status by using the app as content-provider. 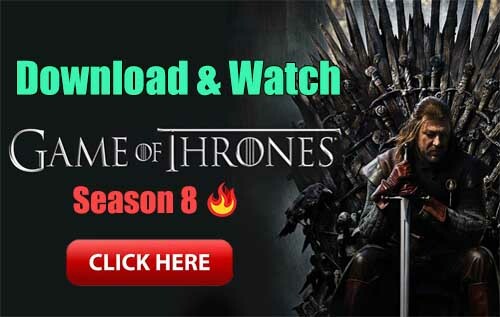 By activating the “mocking” feature (get the position of your external GPS antenna into android) you can use this app for any other navigation-app or for geo-tagging.